I had started writing this post quite a while ago, but I never got around to finishing it. 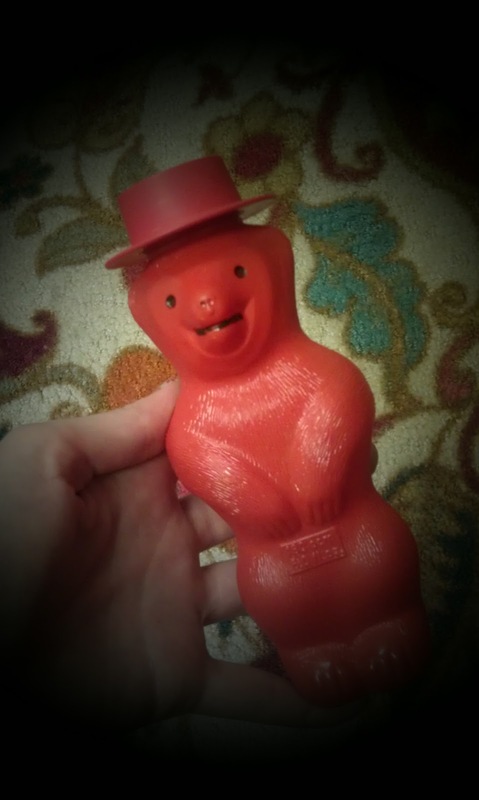 I tip my hat to you, Mr. Bear! We got a neat bubble toy at the office from TheraPro! It is a Bubble Bear. The neat thing about it? You squeeze the bears belly to have the wand come up. As long as you have enough "bubble juice" in the container, it will make the wand bubble-blowing-fun ready. If you or a child squeezes the belly too hard, the wand holder pops out of place. It is easy to stick back in, but just something you have to watch for. Sometimes there isn't enough bubble juice in the top part to blow bubbles. To fix this you can put your finger on top of the wand (keeping it in the top of the bear) while you squeeze the belly. That will let a little bit of bubble juice into the top area to refresh your wand.